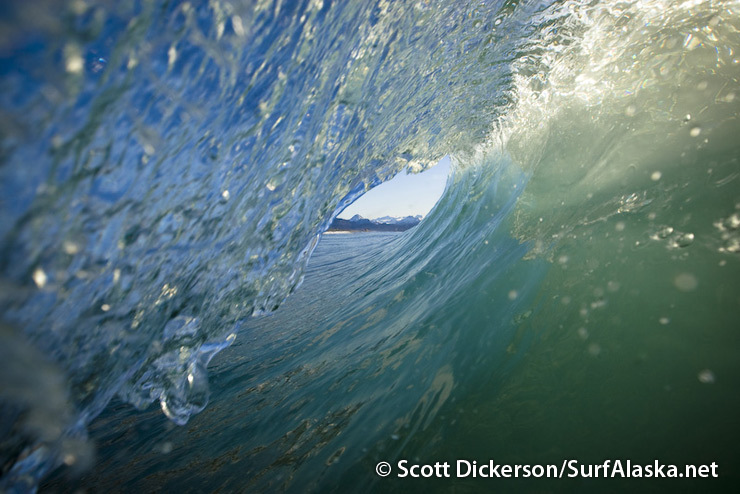 Tube with a view - The Kenai Mountains as seen through a hollow wave. I spent most of the three sessions for today in the water with the camera in a surf housing and I’m very excited about the resulting photos. I’ve just had time to glance at them now, and am totally beat so I’m only posting one and heading for bed. More to come soon though! Maybe not tomorrow since we might be hard back at it.